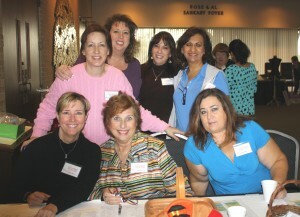 I’ve had a great time the past couple of weeks rubbing elbows with the Tarrant County Jewish Community. On Nov. 13, I participated in “Pampering for the Soul,” an event co-sponsored by the Chabads of Fort Worth and Arlington — in addition to getting my nails done (much needed), getting a neck and upper-back massage (also much-needed) and participating in a Pilates workshop by fellow ex-Evanstonian Zoe Stein Pierce (Go Wildcats! ), I listened to a talk by Rivkah Block, rebbetzin at Chabad of Plano — who is, incidentally, one of my favorite people. Though brief, it was fun catching up with Rivkie and learning what was happening on “the other side” of highway 360. 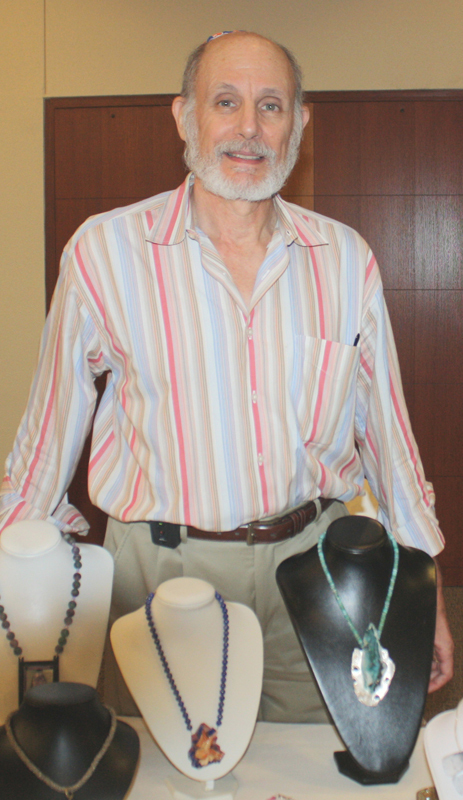 This past weekend was also a great deal of fun, as I participated in Congregation Ahavath Shalom’s jewelry bazaar and craft fair, where I hawked my hand-crafted jewelry and books. Many of you mentioned Rene Wisch, of very blessed memory, and the wonderful columns she wrote for Texas Jewish Post. My thanks go to all of you for my attempts to fill her very large shoes and for sharing your memories of her. Also, thank you for allowing me into your “reading space” on a weekly basis. I wish you all a happy and healthy Thanksgiving, surrounded by plenty of friends and loved ones. A spirited discussion was aided by books, electronic media and checked with search engines and an electronic copy of the “Jewish Encyclopedia.” Judging from the photo, it seems as though everyone benefitted from this event and came away with a good deal of information. On Nov. 17, the Isadore Garsek Lodge of B’nai B’rith played host to over 100 seniors for its annual Thanksgiving luncheon at Congregation Ahavath Sholom. Harry Kahn whips up lunch. Guests were welcomed by Hedy Collins, and Jewish Federation of Fort Worth and Tarrant County’s executive director Mort House. CAS’ Rabbi Gary Perras led the blessing. 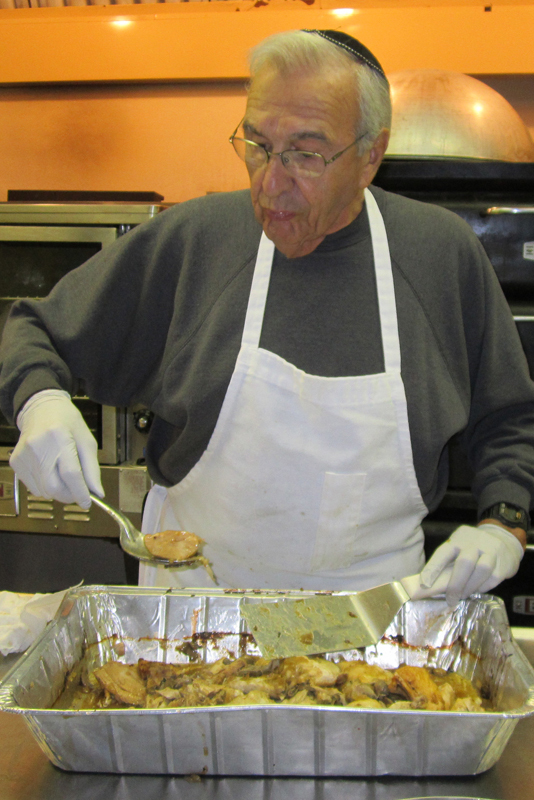 Prime mover and chief cook for the annual event is dedicated volunteer, Harry Kahn, who reluctantly stepped out of the kitchen for a round of applause from the grateful seniors. Chatting with many of you these past couple of weeks (see above!) helps me with story ideas. I have a couple — but I need your help. Hollace Weiner, the extraordinary Fort Worth historian, tells me that the exhibit “Forgotten Gateway: Coming to America through Galveston” will open at the Fort Worth Museum of Science and History on Dec. 17. Once it closes on April 1, 2012, that’s it — the exhibit will be gone. I’ll get more into the exhibit in my next column, but Hollace wondered why there couldn’t be a story about Fort Worth Jews whose ancestors came through Galveston? My answer? Of course! Hollace was nice enough to give me a couple of names for reference. I also had a really great chat with Meredith Neff on Sunday (whose ancestors came through Indianola). But if you are a third- or fourth-generation Jew whose family came through the port of Galveston or Houston, or Indianola, let me know. As for the second story, the above-mentioned Zoe Stein-Pierce also mentioned an idea I thought was kind of neat. We all have relatives, or know people who have relatives, or who know PEOPLE, for that matter, who live in Israel. Zoe tells me that a great uncle of hers settled in Israel back in the day when Israel was Palestine — and had interesting stories to tell the family about the land at the time. I like this thought — we have a great deal of knowledge about what life was like after our Jewish homeland achieved statehood. But what happened in the early part of the 20th century and beforehand? I’d love to know. Does anyone out there have any grandparents, great-grandparents, long-lost cousins, friends or whomever who resided in Palestine before 1948? To repeat: Let me know! I can be reached at awsorter@yahoo.com. This is the final, FINAL reminder — and if you miss it, then you haven’t been paying attention to this column during the past several weeks! Any changes to the B’nai B’rith Community Directory of Tarrant County MUST be gotten to Alex Nason by Nov. 23. Contact him at 817-346-3991 or alexnason@charter.net.